Type and Characteristics: Topsail schooner-rigged steam cutter, built by Oregon Iron Works, Portland, OR, completed 1876, 227 tons displacement, 140ft 7in long, 24ft beam x 10ft 10in draft, Inverted cylinder steam engine, one propeller, armed with 3 guns, unknown type/calibre, crew of 41 - 8 officers, 33 enlisted. Log Period and Areas of Service: 1877-1900 (imaging - 1882-1900), Alaskan waters, Pacific coast of US, Spanish-American War service. 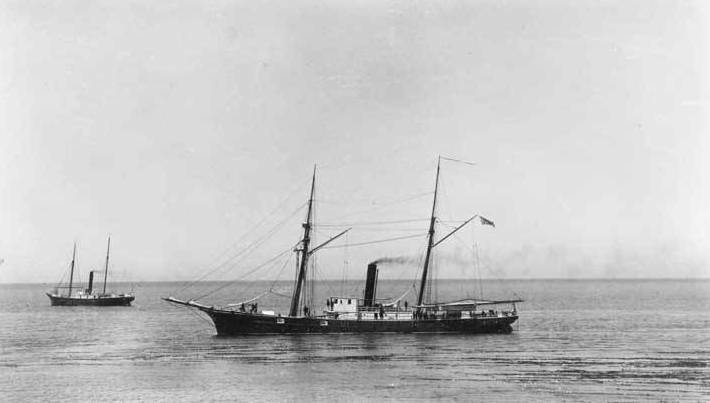 17 July 1877 - Commissioned in San Francisco, CA, her home port, commanded by Captain J. W. White. Sailed for Sitka, Alaska and Arctic Ocean patrol on the 30th. Returned to San Francisco on 28 August. Made annual cruises to Alaskan waters, and patrolled off Washington and Oregon when not in the Arctic. 1880-1881 - Took part in search for USS Jeanette. 1882 - Took part in bombardment of the Tlingit village of Angoon, Alaska under the command of First Lieutenant Michael Healy. The whaling gun of a NW Trading Co whaleboat had exploded killing an Alaskan shaman who worked on board. Others had taken two white company employees hostage and landed at Angoon, where they and the villagers demanded 40 blankets in payment for the death of the shaman. USN screw frigate Adams, Corwin and tug Favorite armed with a small howitzer and Gatling gun were sent to negotiate. This failed and the village was fired on, killing seven by shellfire, with six children dying in a torched house. The US Government paid compensation in the 1970's. 9 April 1898 - Served with US Navy in San Diego area during Spanish-American War. 15 August 1898 - Returned to Treasury Department. 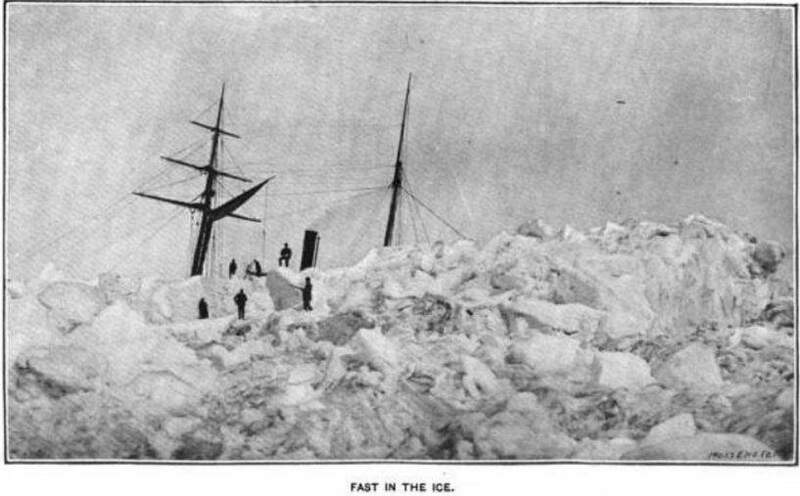 Fate: 14 February 1900 - sold for $16,500. 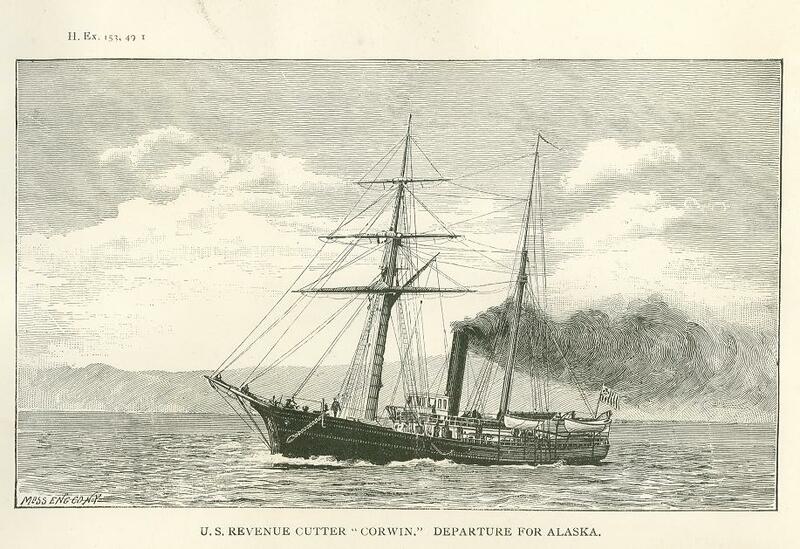 Employed as merchant vessel SS Corwin in Bering Sea.